In the greater Las Vegas valley, there’s no shortage of beauty and nature to explore. In MacDonald Highlands luxury homes in Henderson, Nevada you’re within reach of the city and even closer to nature. In the MacDonald community you will have spectacular views of the city and the Las Vegas Valley, the Ivanpah Valley, Lake Mead and Lake Mojave. Your life elevated above the rest allows you to enjoy the natural beauty and landscapes of southern Nevada, all from your back porch. If you’re a hiking enthusiast, The Mccullough Mountains in Henderson provide a great opportunity for a hike just minutes away if a half hour drive to Lake Mead or another campground site doesn’t appeal to you. Hike the McCullough Hills Trailhead beginning at 295 Mission Drive. The hike is moderate in difficulty. The path is clear with several markers, so it’s easy to follow along without getting lost. The trail is available to hikers, bikers, and horses, and even provide three separate paths for each option, all running parallel to each other so that horses won’t tear up the hiking trail, and hikers don’t have to watch and dodge for bicycles. Although the hike is long (about 8 miles total if you follow the whole trail), cell phones work for much of the trail, but be sure to still bring plenty of water, sunscreen, and snacks. It also includes shaded areas for resting. The trail shows pretty views of the Red Rock cliffs and the Spring Mountains, and in the winter, this could be the perfect hike to enjoy without getting too hot or sunburned, since much of the trail is exposed with no tree coverage. 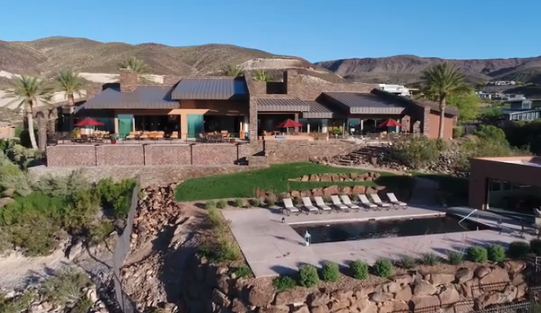 So whether you’re training for a marathon or just want to enjoy a connection with nature and the desert mountains of McCullough, MacDonald Highlands is the neighborhood that will bring you closer to the gorgeous and rugged desert of the Las Vegas Valley within minutes. For more information on the luxury homes of MacDonald Highlands in Henderson, Nevada contact the office of Kristen Routh-Silberman at 702-614-9100.